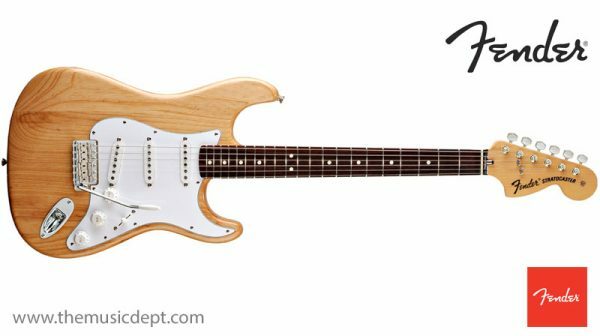 The Classic Series ’70s Strat returns you to the exciting 1970s heyday when the instrument conquered the world and was positively all over the place—especially the charts. 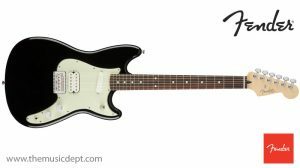 Also, many of today’s guitar heroes grew up and were taking their first formative steps back then, and a ’70s-era Strat® was the only kind they knew and loved. 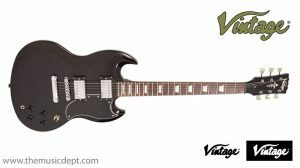 This guitar gives you that sound, style and spirit, with authentic features including a “bullet” truss rod system, three-bolt neck plate with Micro-Tilt™ neck adjustment, post-1965 “large” headstock and more. This 1970s-style Stratocaster features a “U” neck profile (the shape of the neck in cross section) sculpted to impart a more substantial fretting-hand feel typical of the instrument in that era. Often found on thicker necks and ideal for those who play with the thumb on the back or side of the neck. For 1970s-era authenticity, this guitar features the “large” Stratocaster headstock adopted in 1965 and the “bullet” truss rod system introduced in 1971, when the body-end truss rod adjustment mechanism was changed to a bullet-shaped nut at the base of the headstock. 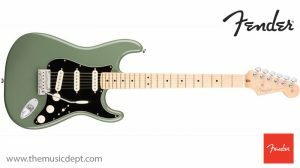 Be the first to review “Fender Classic Series 70s Strat” Click here to cancel reply.